Check out our new look! 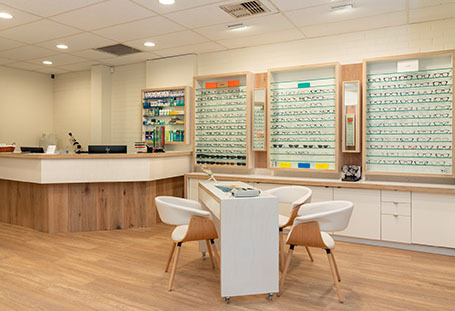 Visit our new look Nedlands store with an even bigger range of the latest designer frames. Book Now at Innaloo or Nedlands. 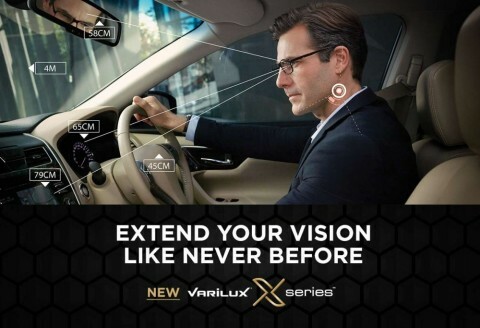 Varilux X Series Lens Offer Ask us about the introductory offer for the new Varilux X Series Multi-focal lenses. Breakthrough revolution in progressive lens technology. Latest Designer Brands Our experienced consultants will find the right fit. See us at our new Westfield Innaloo Store E-Eye for Dry Eyes Long term relief for your dry eye condition – no more eye drops – Only 10 minute sessions with an 86% satisfaction rate after only 3 sessions. Ortho K Therapy Alternative to Laser Surgery. Imagine no more glasses or contact lenses. Read more about the therapy here and take the Online Suitability Quiz. 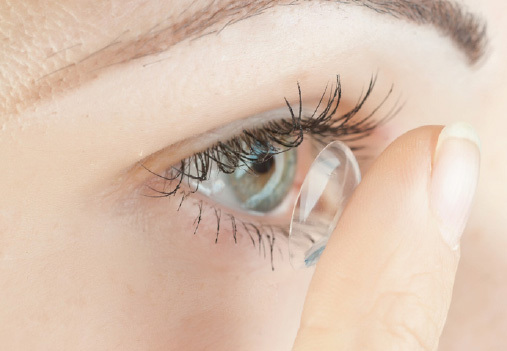 Contact Lens Consultants Contact lenses, which include handy daily disposables, are now more comfortable and affordable than ever, offering freedom, flexibility and convenience. Designer Sunglasses Branded sunglasses (eg Rayban, Oroton, Maui Jim) or presecription lens sunglasses. Over 1300 Frames Instore. 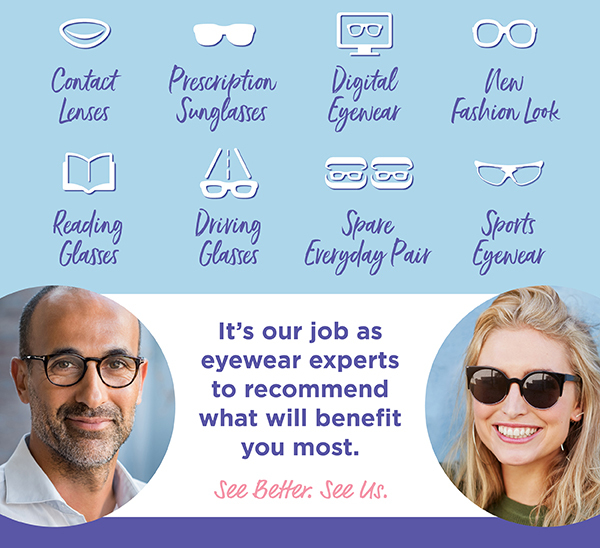 Prescription Glasses We stock over 1000 personally selected designer frames and option to best suit your visual needs and budget. Over 1300 Frames Instore. Multi focal Lenses Seeing clearly becomes effortless and natural, providing you with vision stability during movement and wide fields of clear vision. Huge selection with over 1300 Frames In-Store! Established in 1980, Cooper & Lourie is one of Perth’s oldest independent specialists in Optometry. Principals Geoff Cooper and ]ulie Lourie each have nearly 40 years clinical experience, and have pursued a lifelong learning in Optometry. We offer a broad range of eye tests and examinations with a personalised service. 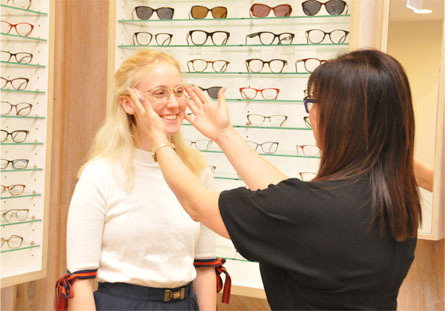 With over 1,100 personally selected frames in each practice, covering a full variety of options including designer brands, high quality, robust and budget frames, sourced from all over the world. One of our consultants will be more than happy to assist with frame selections that best suit your lifestyle. All our patients receive lifetime FREE spectacles adjustment by our trained staff, as well as FREE cleaning, FREE screws and FREE nose pad replacement.